Ephesians 6 [4.] 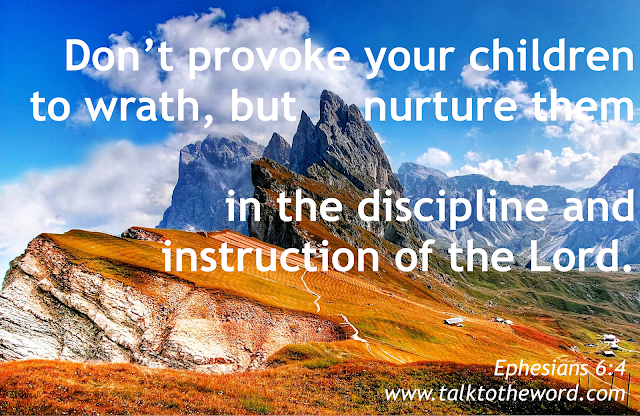 You fathers, don’t provoke your children to wrath, but nurture them in the discipline and instruction of the Lord. Ephesians 6 [5.] Servants, be obedient to those who according to the flesh are your masters, with fear and trembling, in singleness of your heart, as to Christ; not in the way of service only when eyes are on you, as men pleasers; but as servants of Christ, doing the will of God from the heart; with good will doing service, as to the Lord, and not to men; knowing that whatever good thing each one does, he will receive the same again from the Lord, whether he is bound or free. a. Ephesians 6:3 Deuteronomy 5:16.